In celebration of the release of Faery Realms, I will be hosting some of the authors of this fabulous book bundle in the coming weeks and months. The first author who has been so kind to share her time and thoughts is Dana Michelle Burnett. 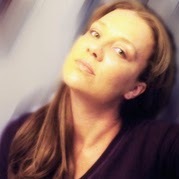 Dana is the author of the novel Gypsy Faery Tale Book One. Instead of doing a traditional interview, Dana thought it would be fun to put together a playlist she uses to inspire her work. Music is such a wonderful way to feed the creative mind, and I'm glad Dana is willing to share her inspiration with all of us. Enjoy! While I was writing my novella Once, I really wanted to surround myself with the look and feel of the world and culture that I was trying to create. To do so, I found music to be the perfect porthole. Do you have a favorite Irish song or Ballad?